MOUNTAIN VIEW, CA--(Marketwired - Aug 20, 2013) - Audience®, Inc. ( NASDAQ : ADNC ), the leader in advanced voice and audio processing for mobile devices, today announced that Mr. Patrick Scaglia has been appointed to the Company's board of directors. A highly respected information technology executive, Mr. Scaglia has extensive executive experience at Hewlett Packard, Evans & Sutherland Supercomputer Division and Cadence Design Systems. "Patrick's track record, combined with his forward thinking perspective on the evolution of technology, will add a special skill set to our board, as Audience creates new technologies for a broad range of markets and continues to expand its influence in the industry," said Mohan Gyani, chairman of the board of directors, Audience. "He brings to the table a unique understanding of how emerging technologies are adopted within ecosystems, based on his experience with a wide range of key technologies." "I am very excited to be working with the Audience team," said Patrick Scaglia. "Audience is leading the advanced voice revolution and is working at the forefront in creating a new voice-centered paradigm for how people interact with technology. I look forward to helping Audience extend this leadership role." Mr. Scaglia is a founding director for the Foundry@CITRIS, which provides entrepreneurs with resources to build companies that make a significant impact on the world. 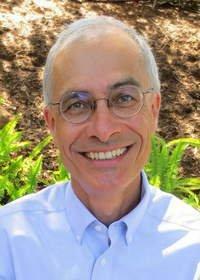 Under the umbrella of the Center for Information Technology in the Interest of Society (CITRIS) at UC Berkeley, Mr. Scaglia's areas of initiative include healthcare, biosystems, robotics and semiconductor. Previously, Mr. Scaglia was a Hewlett Packard executive for twelve years, serving as CTO across multiple groups. Before Hewlett Packard, Mr. Scaglia held VP and Director positions at HP Labs, Evans & Sutherland Supercomputer Division and Cadence Design Systems. He currently serves on several advisory boards including the College of Engineering, University of California Berkeley, and he is also on the board of directors of Stoic.com.